The buffs should be rolling out across the next couple of patches. 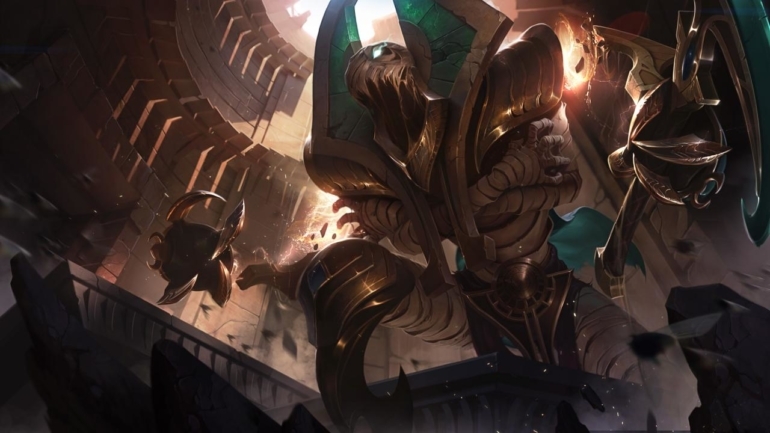 For quite some time, there have been a few weak junglers living under the shadow of powerhouses like Graves and Kha’zix. Riot is finally doing something about it. The jungle meta has been set in stone for a few months, following the big assassin update back in November. If you’re not an AD-burst jungler like Graves and Kha’zix, a stealthy trickster like Evelynn or Shaco, or Hecarim (because Hecarim) then chances are you’re not going to be played much in League at the moment. Aside from the short list of mega-powerful junglers out there right now, there is an impressively longer list of junglers that don’t quite make par. This isn’t just because their numbers are lower than the current flavor-of-the-month picks, it’s because there is something inherently wrong with all of them. Huge, glaring weaknesses need to be overcome to play them, and why bother? Especially when there are easier-to-play junglers that pack a bigger punch and have few shortcomings. Fiddlesticks, for example, is a proud member of the “weak junglers” club. His camp clear is too slow and requires too much mana for no real early damage trade-off. Sejuani is another, but she’s getting her own champion update along with the mid-season tank update coming in the next couple of months. Fiddlesticks, however, is getting some buffs right away. In a dev post on the League forums, Riot confirmed that Fiddle is being looked at for buffs in patch 7.6. Red Brambleback is having his magic resist (MR) stat lowered so that magic users (like Fiddle) can take it down faster. That’s not all. In the patch following 7.6, Riot is considering buffs to a slew of weaker junglers in an attempt to open the meta up to new possibilities. Jarvan, Nunu, Amumu, and Volibear are all being looked at for buffs in patch 7.7, and some of them definitely need it— Amumu and Volibear especially. Both champions clear the jungle camps ridiculously slowly, and have so little early game-impact that most junglers are leaps and bounds ahead of them in level by mid-game. Jarvan and Nunu, on the other hand, can still be seen in a good amount of games, but they could definitely use a little love. Riot didn’t give any details on what kind of buffs to expect, but at this point any buff would help these weaklings.